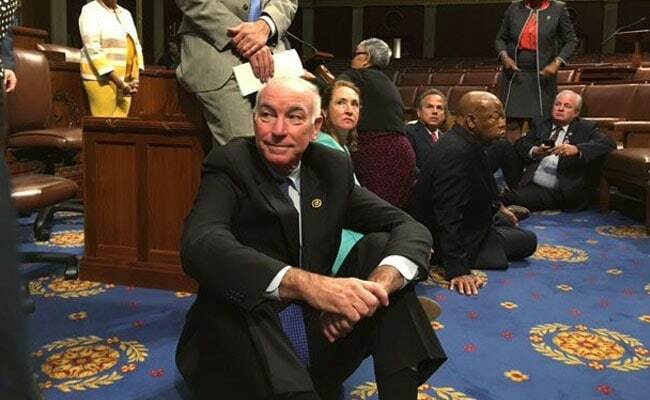 Democrats staged a “sit-in” on the floor of the US House of Representatives on Wednesday demanding the chamber remain in session until Republicans agree to a vote on gun control legislation following the Orlando mass shooting. Chanting “No bill, no break!” scores of Democratic lawmakers joined in the protest that began around midday and continued well into the evening even as House Republican leaders sought to maneuver around the Democrats’ sit-in by using procedural rules to schedule a vote on unrelated legislation. 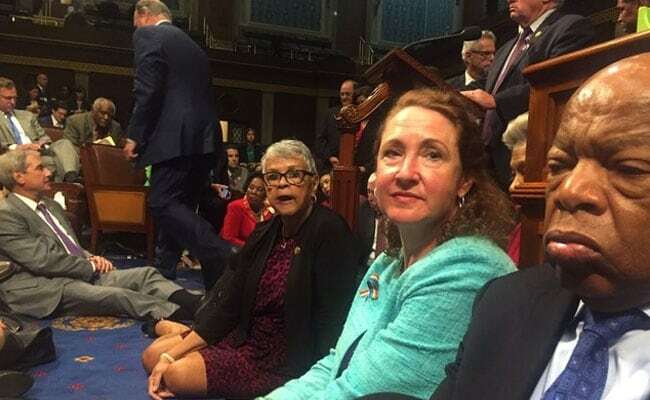 The Democrats’ move echoed last week’s filibuster by Senate Democrats to protest inaction on guns in the wake of the June 12 massacre at a gay nightclub in Orlando, Florida, where a gunman killed 49 people and wounded 53 in the deadliest mass shooting in modern US history. Guns are a potent US political issue and Americans are on edge after mass shootings in recent years in Connecticut, Colorado, California and elsewhere. Congress has not passed major gun control legislation since 1994, with gun rights defenders saying such measures infringe on the constitutional right to bear arms. 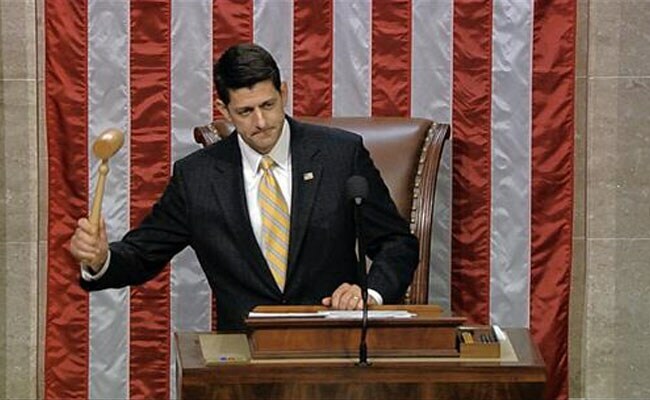 Instead, Republicans said on Wednesday evening they would reconvene to vote on financial regulation legislation and file a $1.1 billion funding measure to fight Zika in a move aimed at returning the chamber to order. House Republicans have declined to advance gun control legislation and House Speaker Paul Ryan said earlier on Wednesday he was “waiting to see what the Senate does” before discussing the topic. 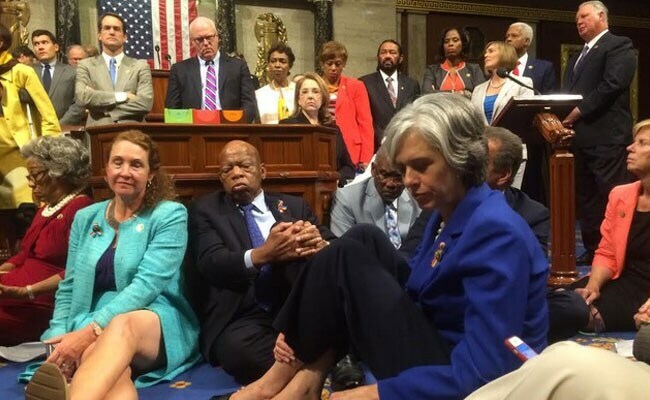 Earlier on Wednesday, the House’s presiding officer, Republican Representative Ted Poe, entered the chamber around noon (1600 GMT) to find a number of Democratic lawmakers in the front of the chamber chanting, some sitting on the floor. Several Democratic senators crossed the Capitol to join protesters, including Senators Elizabeth Warren, Tim Kaine and Cory Booker, all mentioned as potential running mates for presumptive Democratic presidential nominee Hillary Clinton. Clinton’s rival in the Democratic race, Senator Bernie Sanders, also appeared. Lawmakers also took to social media to document their demonstration with video and pictures, particularly after House Republicans shut down video cameras that normally document the chamber. Outside the Capitol, nearly 50 people gathered in solidarity at a rally organized by Everytown for Gun Safety, the advocacy group backed by former New York Mayor Bloomberg.